Melbourne is regarded as a pretty big city when it comes to terms of physical size, from west to east. The truth is that parts of what are considered ‘Melbourne’ could easily be considered separate towns in their own rights. In fact, it’s really not clear what is technically ‘Melbourne’ and what isn’t! At some point down the Mornington Peninsula, presumably before Mornington, Melbourne stops and you’re technically in the ‘countryside’. Recently my wife and I spent a day exploring the peninsula. It meant a lot of driving (around 300 km round trip) but we got to see a lot – if in very small doses! Melbourne sits at the top of the very large Port Phillip Bay. The bay is almost a full circle – with the two tips almost touching each other and the southern end of the circle (well you know what I mean – I know technically circles don’t have ‘ends’). 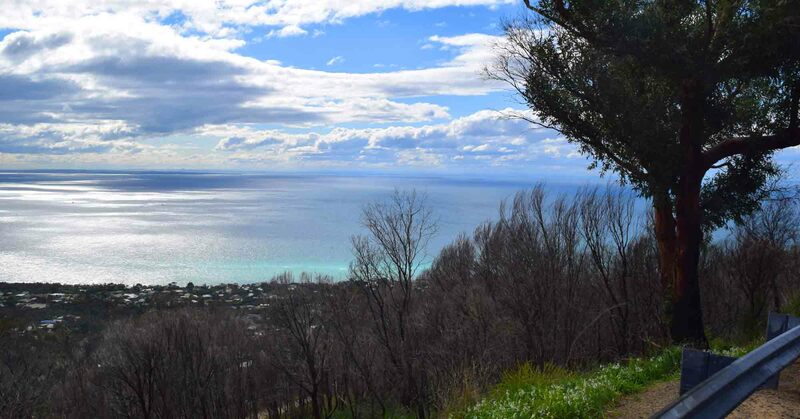 To the south-west of Melbourne you head down to Geelong, on the south-eastern side it’s the Mornington Peninsula. We started with lunch at a strange and extremely hip (and very white too I must say!) restaurant/café in Mornington – well not in the centre, it was quite hard to find. It seemed to be in an almost industrial area of the town. It is called ‘Commonfolk Coffee’ and my wife loved the coffee – which I don’t drink. Driving along the beach is pleasant, however it’s also pretty slow going on a public holiday or weekend with loads of people out in force. Rosebud is a large town and all along the foreshore there are hundreds and hundreds of campsites – which I think you have to book. It’s popular with families and kids in the Summer holidays. If you’ve a decent sized, comfortable tent it’s a great place for a week or two. Plenty of shops close by, a friendly atmosphere. And the beach a hundred metres or less away. There are some big hills there too where you’ll find Aurthur’s Seat – which has a gondola you can ride and great views too of the ocean below! Further down and inland you have Red Hill where we stopped at the most popular bakery I’ve seen for a while – Johnny Ripe. The doughnut was really quite nice! From there to the town of Sorrento. 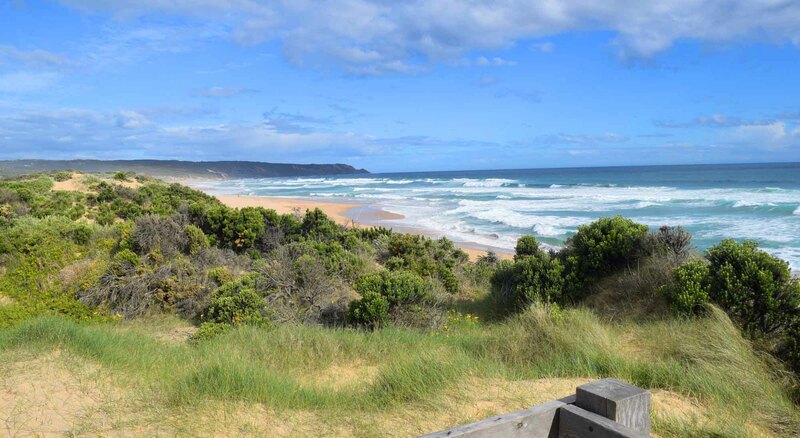 From here you can catch a ferry across the bay to Queenscliff. It doesn’t take that long and it’s mostly for cars. 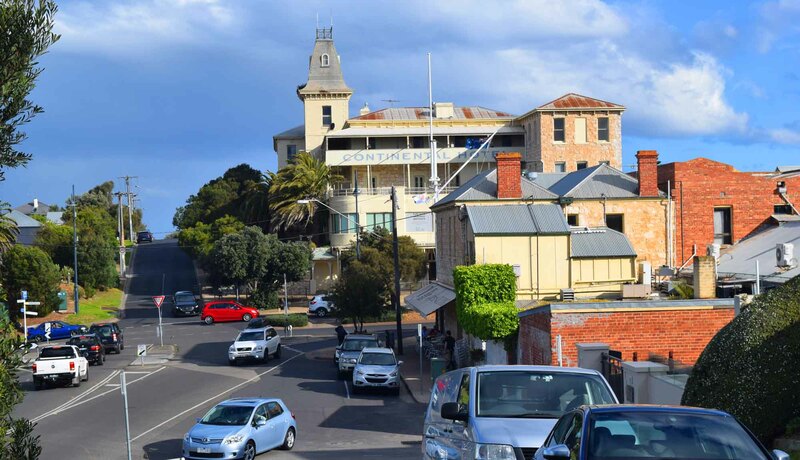 Sorrento is a really nice town, with its shopping strip on a hill – the Colonial Hotel is a highlight, as was the ice cream we had from ‘Mubble’. 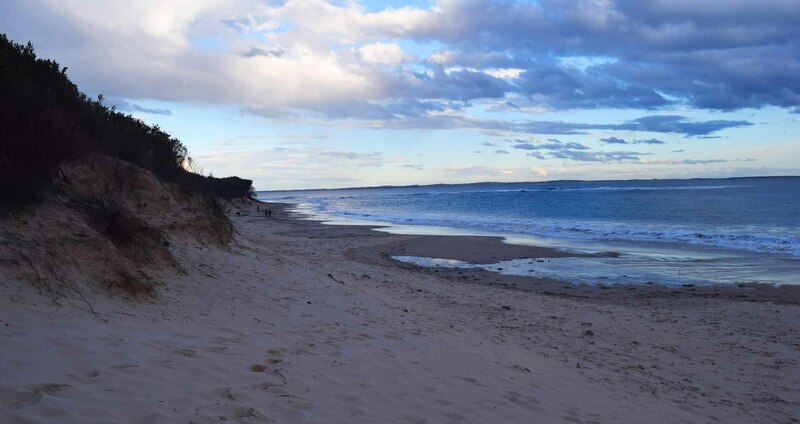 On the other side of the peninsula we found Gunnamatta Beach. A wild beach with waves as loud as can be, under massive cliffs. Point Leo also has a couple of great beaches, and here on the Eastern side of the peninsula it’s not the bay but the ocean you’re facing, making it a good place for surfing. The driving around is tiring but really, the peninsula at the moment is so green. We passed numerous wineries and dairy farms, it’s like a piece of Europe and it’s just gorgeous! The farmland is pretty special. Point Leo Beach as the sun goes down. And that was our day, it was nearly 6pm and we were done. I got home a very tired person from all that driving. It really does help to have a car when visiting the peninsula. If you can find a tour I’m sure you can find one to take you to the wineries, which don’t really mix so well with the driving. From Melbourne to Sorrento I would hazard a guess it takes around 90 minutes of solid driving, maybe a little more. But the drive itself is part of the attraction. Thanks for stopping by – and May the Journey Never End! 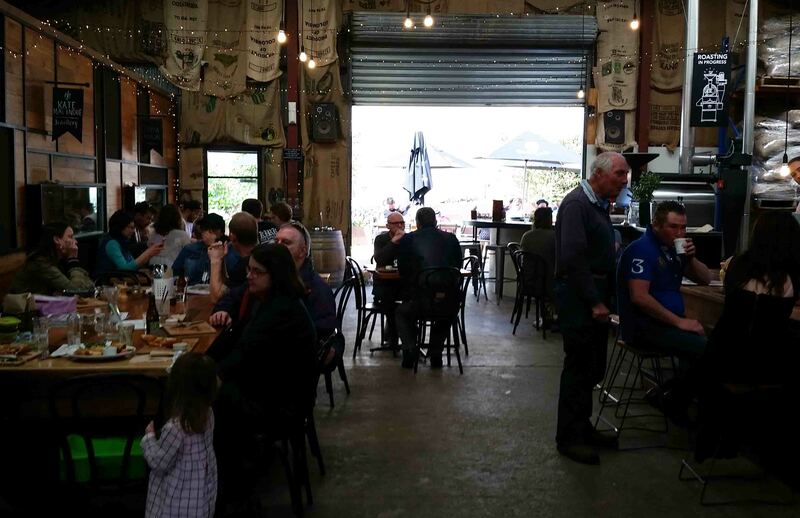 ive never been to Port Fairy but it has a festival and have heard good things about it! This place seems so picturesque and definitely worth visiting, Andy! I would love to go there soon. I fell in love with the place from your pictures! Stunning place! 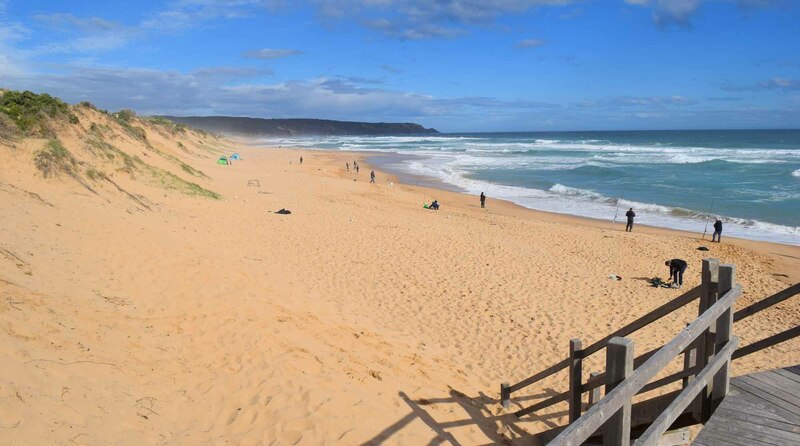 Gunnamatta Beach sounds a perfect place for surfing!! yes the waves are HUGE! thanks for commenting Indah!